A few years ago I met a young girl at my church named Heather. During Heather’s eighth-grade year, she introduced five of her school friends to Jesus. How many of your friends have you introduced to Jesus this year? Yeah, Heather has me beat, too. Those five friends, all girls, brought even more friends to youth group. My wife and I helped in the youth group at the time. So my wife began discipling Heather and several others in this growing group of girls. About eight of them became regulars at our church. It doesn’t take a rocket scientist to figure out what happens when eight cute girls start going to church.Yup. Guys started coming to church-guys who’d never even thought about church before. By the end of Heather’s eighth-grade year, about 10 to 15 of her friends were regular attendees-and seven gave their lives to Jesus. Several of them went off to Christian colleges after high school. One was Heather’s college roommate at Point Loma Nazarene University. For many youth workers, 15 kids is an entire youth group. For Heather 15 kids was the result of her heart to see her non-Christian friends find hope in their lives. Wouldn’t it be cool to have a Heather in every church? Aaron was the first person to greet me when I walked into the youth ministry office at a small church in the Bible Belt. A youth pastor from the church, named Brian, had contacted me a few months prior and booked me to come speak and train for the weekend. Aaron asked about my flight, and we made small talk for a few minutes. I quickly discovered Brian wasn’t even there-he was out running errands. No worries. Aaron was warm and engaging. “Do you see the focus of this weekend as outreach or spiritual growth?” I asked Aaron. I nodded in agreement, setting down my laptop bag and leaning on the desk to my right. Brian, the youth pastor who was still AWOL, had verbalized the weekend’s focus to me several times over the phone. But his assistant, Aaron, had articulated it better than I’d heard yet. I was helping Aaron staple the remaining packets when Brian finally arrived, apologetic about getting stuck in a department store line. An hour later Brian and I were sitting in a restaurant dialoguing about the weekend while Aaron ran a few errands. I mentioned that Aaron had gone over the schedule with me a little bit. “He’s a sharp guy,” I added. I realized I’d never learned Aaron’s role in the youth ministry. So I asked, “Is Aaron your middle school director? Your intern?” Youth ministries have so many staff positions these days; it’s hard to know who’s filling which roles. For a second I wondered if my question had confused him. “Wow!” I repeated, at a loss for words. What I was honestly thinking was, I want an Aaron! Heather-a kid who did more outreach in a year than most youth workers do in a career. Aaron-a kid who could run a Bible study … or the entire youth group … by himself. Forget about all our programs and ministry methodologies for a moment. Set aside all our volunteer training and development, as important as that is, for just a moment. Can you imagine if your ministry had a “Heather” and an “Aaron”? What about a few “Heathers” and “Aarons”? Think about how our ministries could be radically transformed with teen leaders like these two. Now let me ask you a more probing question: How much time are you devoting to developing “Heathers” and “Aarons”? When Jesus finished his ministry on earth, his last words before he returned to the heavens were hard to forget: “Go and make disciples” (Matthew 28:19). How many of us are really doing that? Let me quickly clarify: Discipling a kid doesn’t make that kid a leader. But in the case of Jesus and his disciples, numerous leaders did emerge, including Peter, who became “the rock” on which Jesus built his church. It all started with discipleship. Have these resources helped you introduce teens to Jesus? Have these resources helped your teens grow spiritually? I was amazed at how many people didn’t even address those questions. Allow me to explain. This isn’t due to a lack of these kinds of resources on our ministry’s website. Our front page alone contains an “Outreach Resource of the Week” and “Spiritual Growth Resource of the Week.” The focus of our ministry is helping youth workers make an eternal impact. Our site is content-rich. Regardless, most youth workers who responded thanked us for the games and skits our site provides. The majority didn’t even answer the questions about their kids meeting Jesus or growing spiritually. Some candid responses were, “Our program is going great; but no, I don’t think I’ve seen much of those two things” (“those two things” being meeting Jesus and growing spiritually). Think about that statement for a second: “Our program is going great …” I’d be curious to know their definition of great. Does great mean big numbers? Maybe it means large numbers of ice-cream sundaes consumed? Perhaps great means a huge response to the dodgeball tournament? How great are our youth ministries if we “aren’t seeing much” of kids putting their trust in Jesus or growing spiritually? Will playing dodgeball, attending Christian rock concerts, and participating in icebreakers be the only youth ministry experiences our kids have to lean on when they face the real world? Or are those activities opening doors to something more foundational for their lives? Yesterday (as I write this) I looked at our web statistics to examine the traffic on our website-something I try to do once a month. Do you know what the top two pages were? If you’re like us, you want to make an eternal impact in the lives of teenagers-not just break the record for the most marshmallows shoved into a kid’s mouth. And we wonder why kids are exiting their faith when they leave high school. What are our youth ministries really focusing on? What’s the desired outcome of our time with kids? How much effort are we really putting into not only discipling, but also developing “Heathers” and “Aarons”? Millions of teenagers are apathetic about their faith, and their indifference greatly reveals itself each year when they graduate high school … and exit their faith altogether. It’s a problem every youth worker in every denomination acknowledges. When the Barna Group studied young college students who’d attended church as high school students, they found that these “twenty-somethings” were the most likely age group to drop church attendance. Once they left their homes, many of them left their faith, too. The faith of many of our church kids could be described as nebulous and apathetic. This may sound critical, but sadly, our church kids don’t look much different from kids who don’t go to church at all. According to an in-depth poll by the Associated Press and MTV, 68 percent of American teenagers agreed with the following statement: “I follow my own religious and spiritual beliefs, but I think that other religious beliefs could be true as well.” That might be expected from the pluralistic society we live in today, but when further research on the same subject was conducted by the Barna Group, it found that 61 percent of “Christian” teenagers believed if “a person is generally good or does enough good things for others during their life, they’ll earn a place in Heaven.” That whopping 7 percent disparity clearly shows that many teenagers who go to church have a flawed faith. In the last decade, I’ve seen the trend of youth workers who’ve tried to change this phenomenon with new curriculum and better teaching. But can a new Bible study do the trick? Could it be that today’s youth ministries are too focused on offering ministry TO teenagers instead of developing ministry BY teenagers? Maybe our “entertain me” programming mind-set has lowered the bar for many teens. Come, laugh, sing, listen, pray, exit. What if we raise our expectations just a little? What would happen if we gave teenagers opportunities to serve and use their gifts in ministry prior to high school graduation? What if we pour into these young leaders, disciple them, and do ministry alongside of them instead of for them? What if we ease back on our ministry to teenagers, supplementing it with more ministry by teenagers? Perhaps then when these kids are out on their own and forced to take full ownership of their faith development, they’ll have a strong foundation from which to start. Like parents, our job as youth workers might just be to move kids from a position of dependence on us to dependence on Jesus. This discipleship of our young leaders is a process; it’s not instantaneous. Consider the time Jesus spent developing his disciples. He poured into them for three years, ministering alongside of them and giving them opportunities to develop their gifts and eventually take leadership roles. Upon first reading the Gospels, I had my doubts that these guys would amount to anything. On the day of the crucifixion, most of them abandoned Jesus altogether. But 11 of them went on to start spreading the good news about Jesus, the groundwork for what became “the Way” (Acts 9:2) and eventually the explosion of Christianity. What do you think would happen if in the next few years you poured into a handful of teenagers who will, in turn, pour into others? 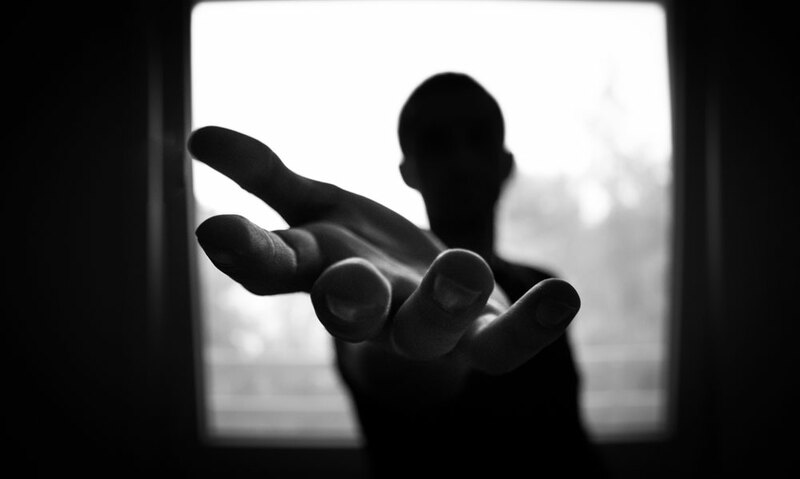 What would happen to your ministry? More importantly, how would it help forge the faith of these kids and prepare them for life after high school? Think of Aaron and Heather from the beginning of this chapter. If the youth pastor needed someone to lead the youth group, he called Aaron! Aaron not only led Bible studies and mission teams, but he also resolved to be a light on his campus when he was “out on his own” at school every day. When Aaron leaves high school, God will continue to use him this way. Aaron’s already decided to own his faith, use his gifts, and serve. As a middle schooler, Heather not only helped a bunch of her friends accept Jesus, but she also connected them to God’s people at her church. When Heather went off to college, nothing changed. Heather continued to minister to others. I (Jonathan) know because I later invited her to be part of my youth ministry staff, where for several years she again led numerous young girls to Jesus, discipling them and connecting them to God’s family. Aaron and Heather didn’t just receive ministry-they did ministry. And it didn’t happen by accident or by playing dodgeball. Caring adults loved these two kids, discipled them, and gave them opportunities to serve and live out their faith. Soon they grabbed the baton, made their faith their own, and then loved and discipled others along the way. How many “Aarons” and “Heathers” are you building right now? You want to develop teen leaders but don’t know how. For right now that’s okay; your reading this reveals that you care about helping kids grow spiritually and you have a desire to see them use their gifts. Don’t worry-in our book Ministry By Teenagers we outline a step-by-step guide of exactly what you need to do to build teenage leadership ministry from scratch. You’re trying to build a teenage leadership ministry but are running into opposition(s). All sorts of problems can arise when you start pursuing the idea of mobilizing and equipping teams of kids to impact their communities for Jesus. 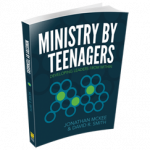 Ministry By Teenagers will teach you how to generate momentum and build and maintain a team that works together, as well as sidestep any pitfalls that would stifle an enduring teenage leadership program. You’ve already built a teen leadership ministry, but you want a few ideas to bolster it. You already have a few “Aarons” and “Heathers,” but you want to develop even more teen leaders. Maybe you’re looking for a way to garner increased results from your existing teams. Regardless, in Ministry By Teenagers you’ll find tons of ready-made resources, proven strategies, and ideas sprinkled throughout this book that you can immediately implement. So where do we begin? Try diving into Ministry By Teenagers.